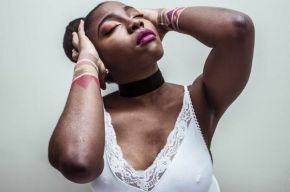 Following on from her newly released ‘Familiar’ music video, which is currently being championed by The Guardian NG, R&B Supreme, Konbini, Okayafrica, and The Hype Magazine, among others, and with recent support from the likes of MTV Base, Hype Machine, SoulBounce, Link Up TV, and Guestlist Magazine, London-based singer, songwriter and musician NISSI is excited to unveil her brand new single titled ‘Favourite List’, premiered via SoulBounce. Produced by frequent collaborators Cornel Sorian and JoeBagz, ‘Favourite List’ is a infectious Jazz Soul offering, which begins as a soft and beautiful piano ballad, before breaking into a rousing and captivating full-on big band-esque listening experience, backed by lush bass string and drum arrangements, over which Nissi showcases her glorious vocal performance, and vibrant delivery and flow. Speaking about how the single came about, Nissi says, “I created this song the last time I was in my hometown Port Harcourt, literally surrounded by all the people I started my music journey with, in one room, just feeding off each others energy. It was such a love-filled spaced, without any worries, and it put in perspective, the things that really matter, and that’s what is really at the top of my favourite list”. About the inspiration for ‘Favourite List’, Nissi adds that, “for me, the song lyrics can apply to anything and anyone that I truly care about. In my interpretation, I am singing to this special person that I care about, and making sure they know that I put them above everything else. The inner layers of the song go back to my music and art, the people around me, and my biased admiration for imperfect love matches, that above all things, are what real life is about”.